As you know, I consider myself a bit of a costumer. I spoken about it before, and some of those posts are still receiving hits, despite the fact that the Fallout Jumpsuit is no longer available, and there is a new version of the Battlestar Galactica Double Tank Top. While it’s not a major focus on this blog, I still thought it would be cool to have all of my costume posts in one place. My wish lists, my completed pieces, my reviews on costuming materials, my talks with cosplayers, and eventually, tutorials. Resistance Pilot Costume – An Introduction (2/2/2018) – The first project of 2018! This is an introduction to what I’m doing, and pics of the helmet I’ve started to modify. Resistance Pilot Costume – March Update (3/16/2018) – Progress has been made on my Resistance Pilot costume from Star Wars. Here’s what’s happened since the initial post! NEW! 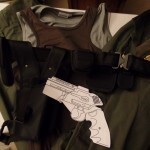 Resistance Pilot Costume – November Update (11/30/2018) – It’s been almost eight months since the last update, but it’s been a long eight months. I’m about 75% done with the costume. Here’s where I’m sitting, and here’s a lot of progress pictures! Double Tank Top Replica by Anovos – My thoughts on the Double Tank Top put out by Anovos. Currently out of production. Vault 101 Jumpsuit, Bethesda Store – My thoughts on the mass-produced Vault 101 Jumpsuit, offered by the Bethesda Online Store. Note: This item is no longer available through the store. 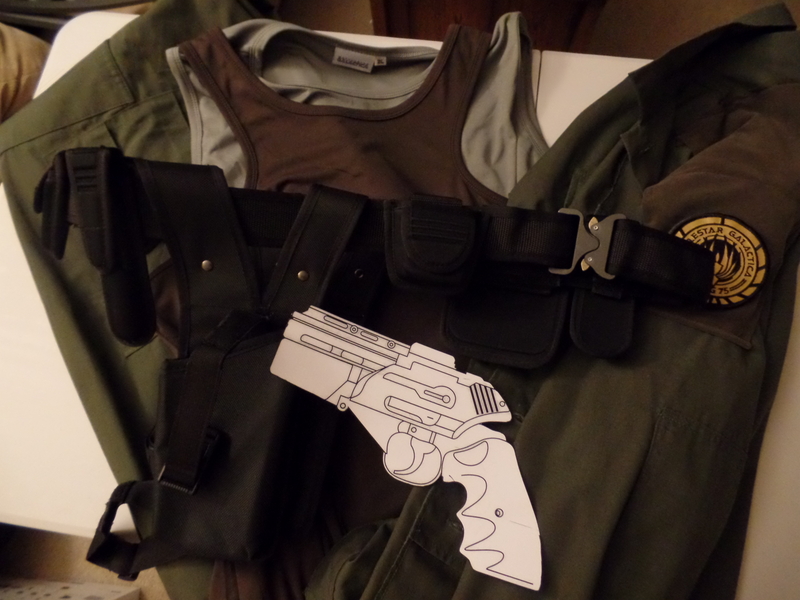 Revisiting the Vault 101 Costume (9/28/2016) – For Halloween 2016, I’m working on making some accurate parts for the aforementioned Vault 101 Jumpsuit from the Bethesda store (shoulder piece, and belt) as well as trying my hand with building one of the 3D Printed Pip Boys. All for as cheaply as possible. 25 Days ’til Halloween: The Fallout Project (10/6/2016) – A week ago, I talked about tweaking my Vault 101 Costume for Halloween. What I have I done? Costume Initiative 2016? – A post, talking about what I’m looking at working on in 2016. Spoilers: I need to practice. Costuming Bucket List – Bucket list of costumes I need to have in my closet before I die. Costuming on a Thrift Store Budget – My post, based on a seminar put on by Circle City Aerodrome, our local steampunk costuming group. Foam Firearm Fabrication Basics – A Media Monday review, about an eBook that covers prop making out of EVA and Craft Foam. Foam Armor, Fast – A Media Monday review, about an eBook that talks about quick and dirty fabrication of foam armor. The Foamsmith Trilogy, Vol. 1 & 2 – A Media Monday review, about the first 2/3 of the Foamsmith Trilogy. This eBook series gives tips and tricks on how to make foam armor that can look like anything from hammered metal, to futuristic polycarbonate. Costuming vs. Cosplay – My thoughts on the terms that essentially mean “Playing dress up”.